Rahu-ruled Arudra ladies are often found in sensuous, writhing, twisting, fascinating roles. Mesmerizing dancers, they use the communicative signaling of hands, shoulders, legs, hips, and pelvic thrust to great advantage. Stage performers of high excellence, Arudra ladies can send waves of desire (Rahu) through an audience numbering one or one-million. Arudra women are often the diva type who are sensuously clever (Rahu) verbally quick, and impatient with those who are less communicatively responsive. Thiruvaathira feminine-figures may be gifted in handcraft, commerce, painting, descriptive writing, evocative song-writing, and the arts of seductive imagery such as photography, costume, and arts-of-style (Budha). Surya in bhava-9 * karako bhavo nashto * Surya rules 3-commerce. Dad was an international (9) art salesman. His business started in Golders Green London, and after moving to Los Angeles (escaping the Nazi regime) he maintained a gallery shop in the lobby of the upmarket Beverly Hills Hotel..His other revenue stream came from his daughter's cinema work. Surya ruler of 3 (publications) casting drishti into 3-communications . Taylor's personal life provided her adoring-and-scorning audience with decades of cinema (3) fashion modeling (3) and tabloid fodder (3, newspapers). Mother was an accomplished dramatic performance actress = Chandra-in-bhava-5 before her children were born, and she remained connected to the drama community throughout her life. The Momager managed (Chandra in 3rd-from-3rd management) young Elizabeth's career as a full-time occupation. Mangala ruler of 11 in 9 = 11th-from-11th suggests extraordinary economic earnings (11) and a vigorous participation in the sangha (9). Ms. Taylor was active with Jewish political and charitable organizations since her public adoption of the faith her age 27. Mangala rogesha supervises injuries, accidents, diseases, divorces. Mangala yuti Surya suggests diseases of the heart and spine. Budha-yuti-Kuja suggests diseases of the hands and lungs. Eight marriagess. Guru dhava-karaka indicates husband(s). Guru rules the health-challenging 3-6 from Chandra. Emotional issues gravitating into physical distress. Due to mutual aspect of Zukra-influenced-Rahu + uttama-Guru involving uttama-Zukra, the theme of sensual luxury is maximized. in both commerce (luxury goods) and cinematic celebrity. Her long life (Shani-8) was perceived by the fascinated (Rahu) public to be led in a state of magnificent (Guru) excess, "having it all", with few limits on romance, children, pleasure and wealth. In her later decades during Zukra, Surya, and Chandra mahadasha bhukti, Ms. Taylor became a tireless charitable supporter of the outcast, impoverished, and ostracized victims of the AIDS disease. highly amplified uttama-Zukra-ruled attraction * akarshana . 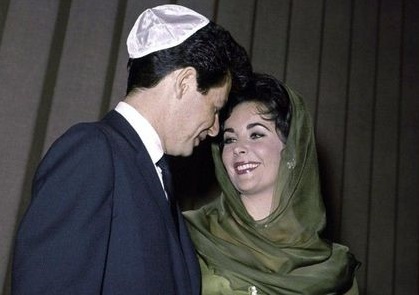 For decades in the western popular press Elizabeth Taylor was hailed as "the most beautiful woman in the world". Similar entitlement later ascribed to Devdas 1973- drama-fashion Aishwarya Rai . Similar to the story of Ring of Fire 1932-2003 rockabilly Johnny Cash who was born one day previous to her, the biography of actress and philanthropist Elizabeth Taylor is distinguished by an extraordinarily sensual mix of uttama-Zukra-yuti-Rahu exchanging mutual drishti with uttama-Guru. Zukra-yuti-Rahu located in 6th-from-Chandra * also produced ceaseless health challenges including nearly 40 surgeries ranging from hip replacements to the removal of a brain tumor. Zukra ruler-of-12 hospitalization. According to Wikipedia," In November 2004, Taylor announced that she had been diagnosed with congestive heart failure, a progressive condition in which the heart is too weak to pump sufficient blood throughout the body, particularly to the lower extremities: the ankles and feet. She has broken her back five times, had both her hips replaced, survived a benign brain tumor operation, skin cancer, and has faced life-threatening bouts with pneumonia twice. She is reclusive and sometimes fails to make scheduled appearances due to illness or other personal reasons. She now uses a wheelchair and when asked about it she said that she has Osteoporosis and was born with scoliosis. " When Professor Bright Bhrigu's classroom is located in 6th-from any lagna, matters of that lagna become conflicted in reference to Zukra's empowerments of luxury, sensuality, beauty, and treasury. In Ms. Taylor's case, the site of conflict is self-medication to address various types of psycho-physical pain (suffering based in Chandra) . Zukra-yuti-Rahu in bhava-10 * allowed her to break most marriage conventions (Rahu) and look good doing it (uttam-Zukra + uttama-Guru). Zukra-yuti-Rahu the Amplifier * The mutual aspect of Rahu-Guru naturally expands (Guru) and mottles (Rahu) an aura (Guru) of speckled bright light around her. Her elite (10) celebrity status derived from her beauty and talent along with public fascination (Rahu) regarding the rapid turnover of her marriages (Zukra). Each "vixen" (Arudra) extramarital seduction scandal following the next. See also uttama-Guru-2 in 8th-from-7th = many recyclings, many turns of the wheel of marital identity change. Guru's expansive, optimistic drishti enters the Rahu-Zukra pair. Rahu-Zukra are located in 6th-from-Chandra signaling addiction along with notable lifetime disease and pain. The tension between Chandra-5 and Zura-Rahu-10 provides many emotionally motivated disorders include marriage disorders (Zukra) due to the imbalance between individuality (5) and public symbolic roles (10). Zukra = gains of extraordinary strength in matters of the daityaguru. A harsh and early-onset Shani Mahadasha. Mother is a taskmaster = Shani-4. Ms. Taylor suffered lifelong emotional tension of conditional-approval Shani-8 drishti upon unconditional-love Chandra-5, due to harsh early parenting with conditional acceptance granted on basis of material performance. Producing children (9) was also a performance expectation given the conventional culture of the day. Shani = karaka for discipline of craft, structure of work. Ms. Taylor began her serious, sober, demanding, and well-rewarded work. At the onset of Shani Mahadasha, Ms. Taylor began working as a child-actress. Her mother was her stage-manager (Chandra in 3rd-from-3rd). 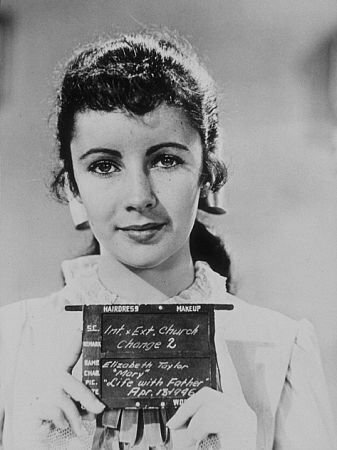 Other children were reading stories in schoolrooms but she was working full time in cinema studios. "I never could kick up my heels like other kids; there were too many restraints," Taylor wrote in her 1988 memoir "My life was overscheduled and over-disciplined." Shani-8 in somber, hard-working Makara; discipline required to earn emotional security; childhood labor; harsh social-approval drishti upon Chandra = work to earn approval of the primary caretaker who is a disciplinarian "stage mother" and task-master. Ms. Taylor began working under the watchful eye of her manager-mother (Chandra-5) when she was a very young child. As the talented child matured into a beguiling teenager then a splendidly beautiful woman, her mother remained as an agent of structure and creativity until mom died aged 99. 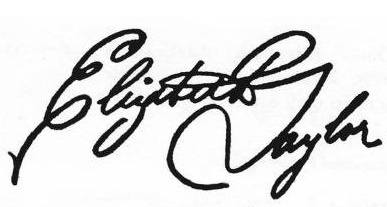 Elizabeth received a first cinematic drama contract at age seven. Ms. Taylor's work ethic was widely respected in the film industry during her professional years. Rahu in bhava-10 * privilege via glamorous or unusual iconic, symbolic, representational, government, leadership, social status; seeks a special, important, regulating role in privileged socially visible ranks. Opportunistic leaders, ambitious bosses and government officials. Thrives in culturally-mixed legislative, executive settings. Rahu the Poseur may pose as a boss, an authority-figure, a decision-maker, a legislator, a tyrant. Bhava-10 social authority = a highly successful environment for boundary-breeching, risk-rewarding Rahu. uttama-Zukra-yuti-Rahu resides in the emotionally imbalanced and often self-medicating 6th-from-Chandra = addictions. Ms. Taylor suffered from painful disease conditions throughout her adulthood (including spinal scoliosis) along with divorces (6) and other toxic conditions. She liberally self-medicated with alcohol and pain-killer drugs, and was known as a regular customer of rehabilitation spa facilities. Regardless of -- or indeed because of its fascinating narrative of sorrow - the accusation scandal, litigation, medical suffering, and other imbalances did not deter her iconic influence lasting until her fleshdeath. The powerful uttama-Zukra-yuti-Rahu in radical karmasthana kept her in the public eye for her entire life. 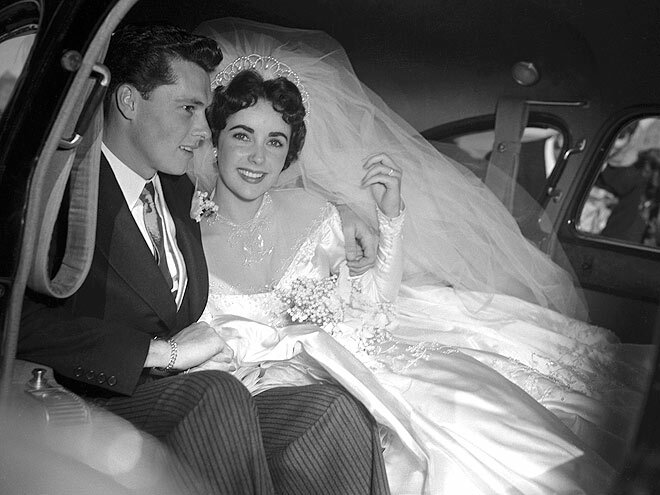 The American screen and stage actress, charitable fundraiser, philanthropist and luxury-goods entrepreneur Ms. Elizabeth Taylor, was married eight times. uttama-Guru karmesha ++ quick ascending Rahu-Meena-10 in mutual aspect to Guru = drives the extraordinary career. She held the limelight from early childhood until Lightbody Lift-off. After the Shani Mahadasha age 5-24 and the subsequent Budha bhukti 24-40, Ms Taylor remained in the public eye even when most actresses of her vintage had long since retired. Her life and lifestyle remained perpetually fascinating due to Rahu-yuti-uttama-Zukra in the peak of public visibility bhava-10. But bhava-10 is also the revolutionary, emotionally turbulent, perpetually transformative, trauma-inducing 8th-from-Chandra , suggesting that much of the fascination was focused upon her mysterious ability to break marriage conventions. 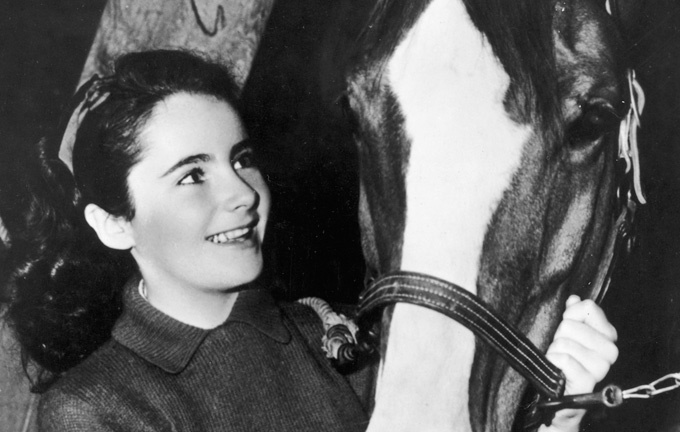 Elizabeth Taylor age-12 acting in the cinematic drama "National Velvet"